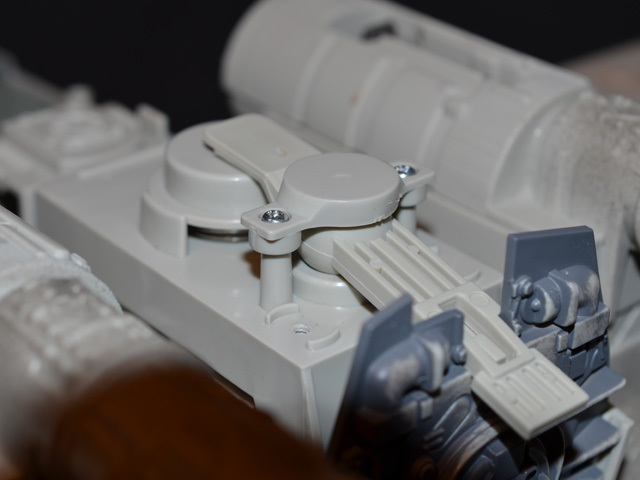 These first two photos show the original part. 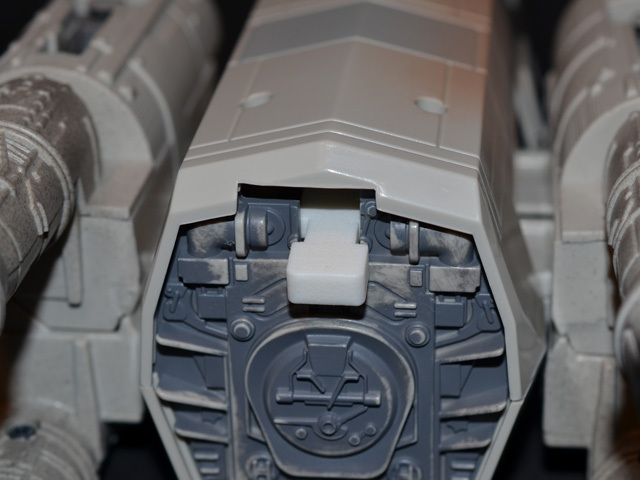 You can see that the wings are uneven and not fully deployed using the stock lever. 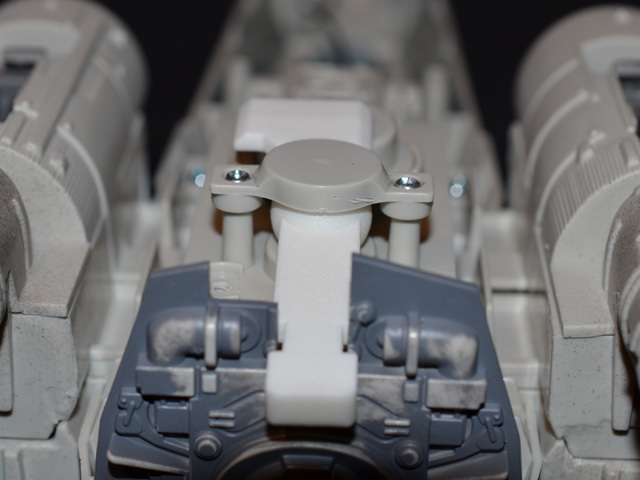 Here’s the guts of the Power F/X X-wing S-foil mechanism. 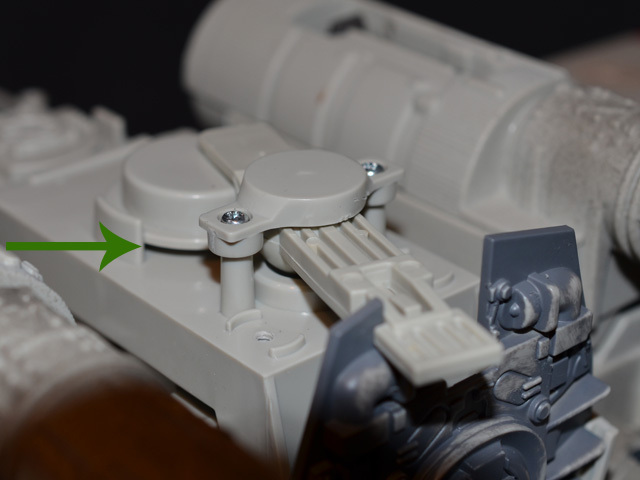 The fulcrum of the lever is a sphere so it can depress and slide to the side to lock in place. The problem is the lever does not evenly depress the wing plunger when locked in place. Note the gap indicated by the arrow. That slack is what makes the wings uneven and floppy out of the box. 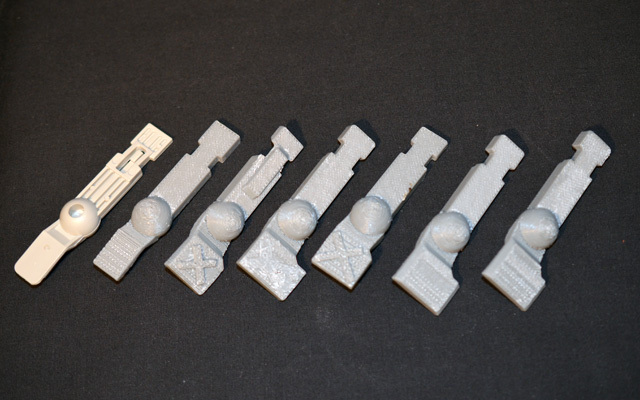 The beauty of having a 3D printer is that I can bang out a whole lot of iterations of an idea in a very short time. By the end of this process, my X-wing’s S-foils could lock in attack formation with the best of them. 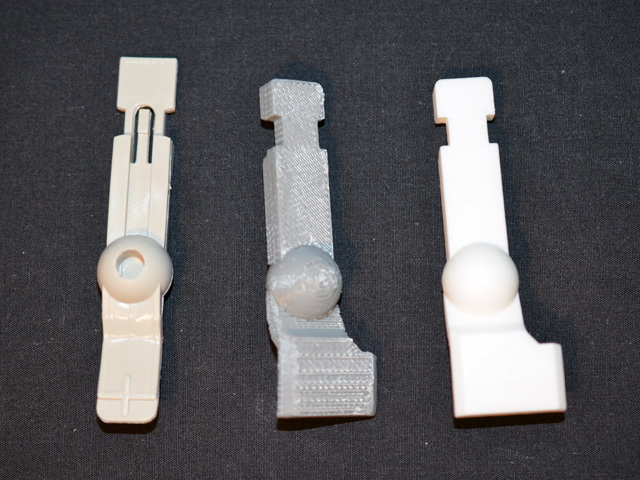 Here’s the stock part on the left, the final ABS printed part in the middle, and the final Shapeways-printed part in Polished White Strong Flexible on the right, available now in my Shapeways store. Installation is a breeze. There’s two philips head screws to swap out levers, and another seven to open/close the fuselage. 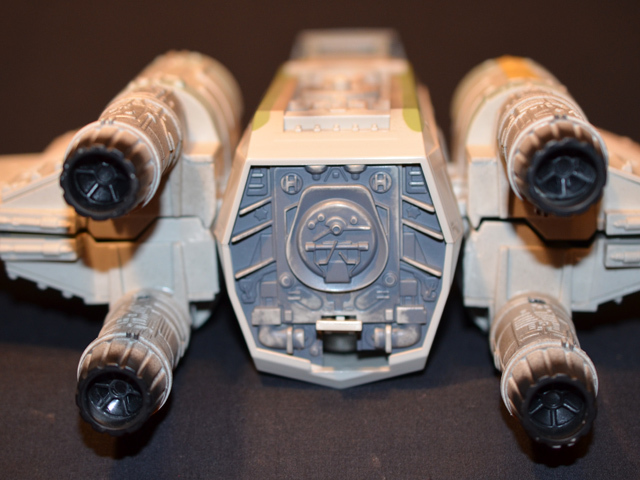 In just a couple of minutes you can take your X-wing from sad and saggy to strong and accurate! These two photos show the replacement part fully installed. 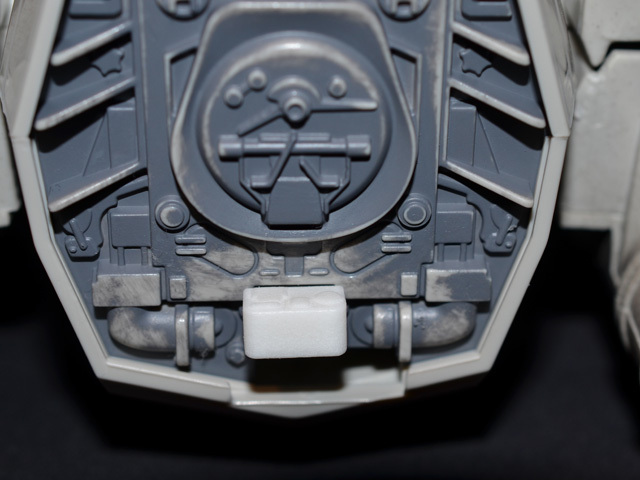 Shapeways plastic takes paint no problem, so with a little gray paint the lever could be made to match the back panel of the ship. 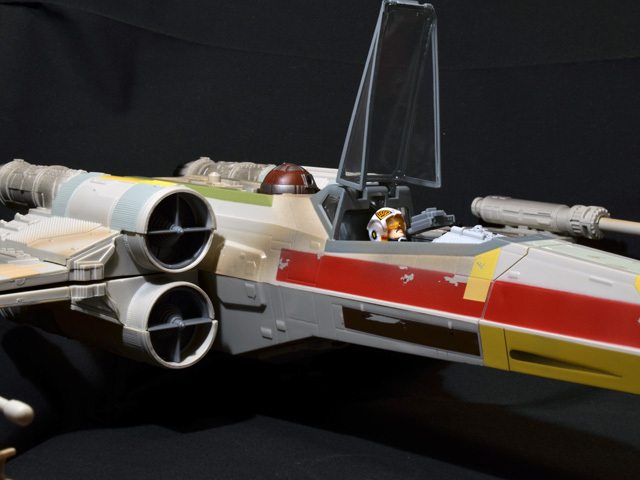 The wings still fully close using the new part. 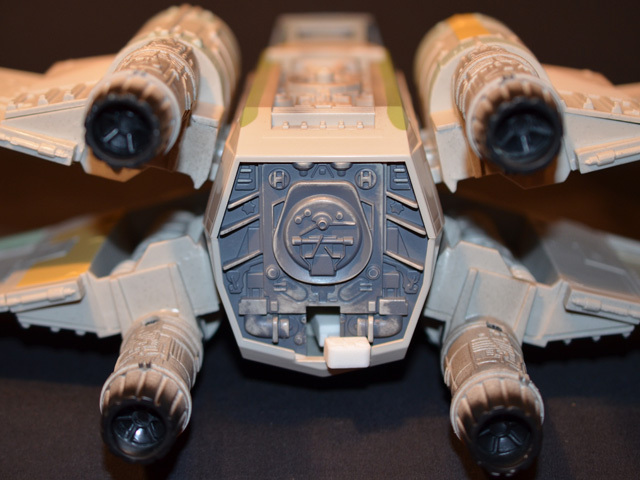 More importantly, the wings now fully deploy and are solid when deployed. The wider end on my part depresses the wing plunger evenly and firmly. 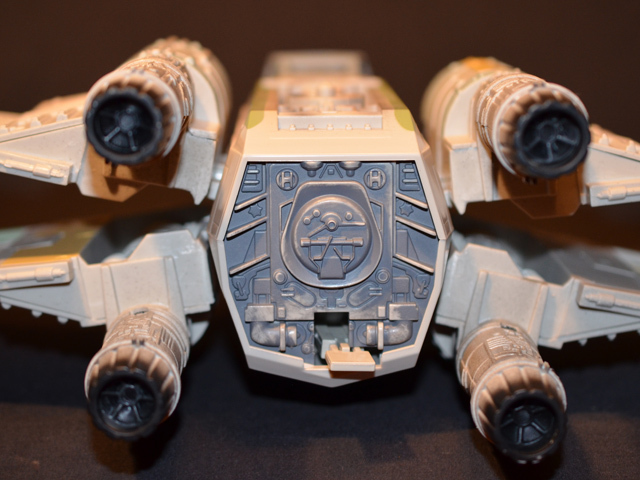 Biggs is ready to take on the whole Empire now that his X-wing can properly switch to attack mode! Please note that I do not own ‘Star Wars’, ‘Hasbro’, or ‘X-wing’. 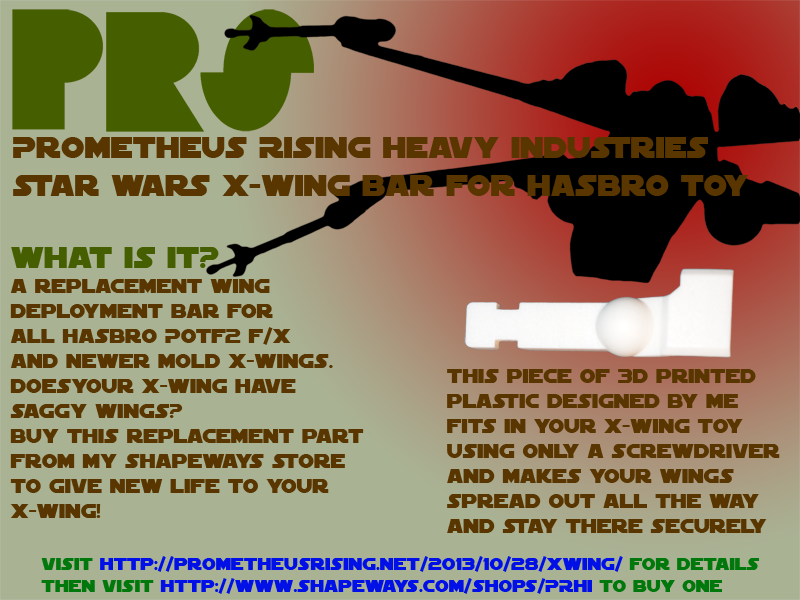 This is an aftermarket part meant to enhance your official Hasbro toy. 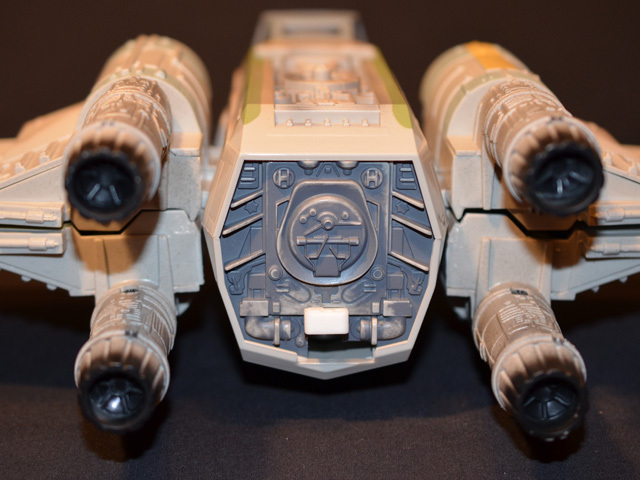 I think we could’ve done with a bit more instructions – I’ve only found 6 out of 7 of these fusilage screws, and the result now is a mishapen x-wing that wont go back together again when I tried to lift the bottom up. Besides the 6 obvious ones, any advice on where the last anchor is? Please let me know if that helps. If you are still having trouble, please use the Contact Me link on the side to email me directly, and I will try to assist further. 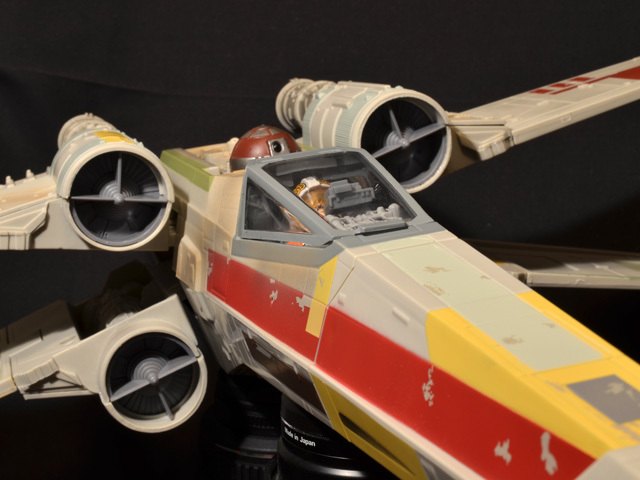 Hi there is there any way of making a replacement compartment cover for the hasbro red 3 xwing fighter. Hi Stephen, I need a little more detail about which part you need. You can reach out to me by email using the Contact Me link on the side if you’d like. Thanks!